Last time, we explored some fantastical fanon from a variety of Smurfs alternate universes. Well we’re back but this time in reality, or at least an alternate universe therein. 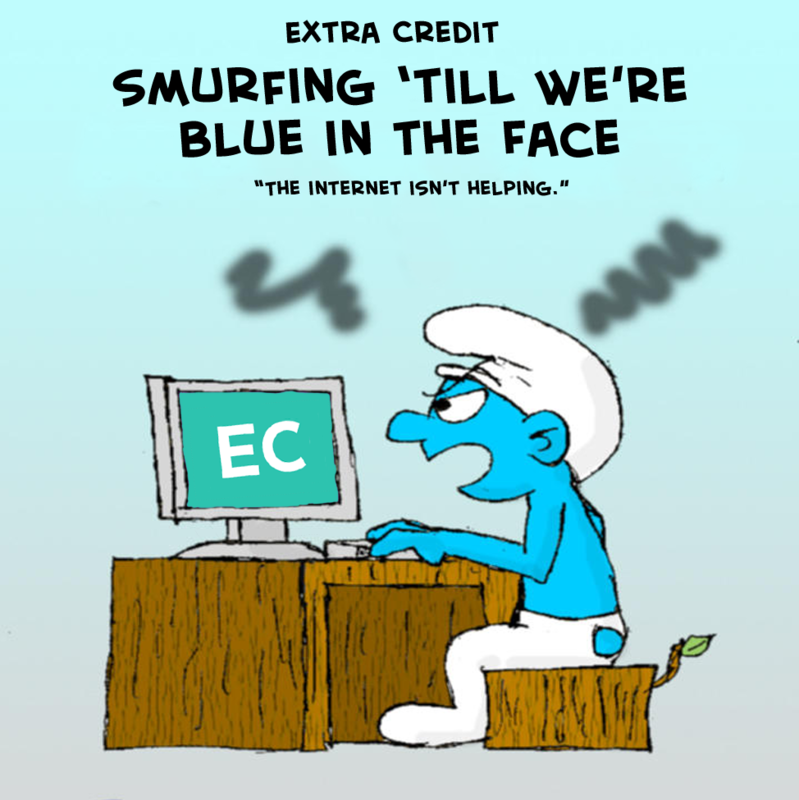 As it turns out Smurfs fan artists have forums that they congregate on and yell at one another for not being in the know enough to be considered true Smurfs fans. This gate-keeping attitude has rigidly stratified the community, with a pantheon of three or maybe four contributors to rule over all the fanworks. VicGeorge2k9 keeps the lore of the Smurfs and associated fanons at his fingertips, ready to call out any pairings that aren’t founded in canon (or his story, Empath the Luckiest Smurf.) Numbah404 takes time out of her busy schedule being an English expert and Content Creator to take some upstart newbies down a few pegs. All the while, Beelzeboob and Boots Raingear, resident Smurfs experts, try their darnedest to make some smurfin’ sense out of this whole mess for the rest of the mystified snakes. This week, Extra Credit turns a lovely shade of lavender.